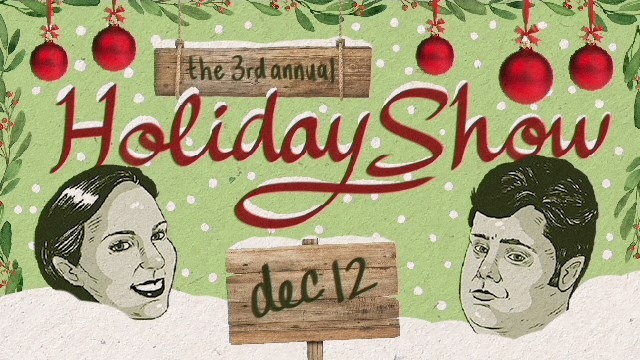 The Improv Embassy is throwing a holiday party!! Hosts DEBORAH RING and MATT BARROW welcome you into their home for some improvised fun. And FREDERICK GIETZ laying down that sweet sweet piano to score the evening. After that, stick around for our Winter Social! Grab some snacks, some seasonal drinks and make some new friends! We’ll have a special improv jam with brand-new teams we’ll create that night. Doors open at 7, FUN STARTS at 7:30 PM until whenevs!